A SEP IRA is an employer-sponsored retirement plan allowing business owners with 0 – 5 employees defer large amounts of income. A SEP lets employers and the self-employed contribute $56,000 or 25% of their taxable income each year – $50,000 more than Traditional IRAs. To use SEPs, employers must make proportional contributions to all full-time employees. A SEP’s proportional mandatory contributions can get expensive quickly. If you have (or will have) more than 5 full-time employees a 401(k) plan will offer more flexibility while still allowing a $56k contribution. Spark 401k offers small businesses traditional 401(k) plans, safe harbor plans, and solo 401(k) plans that are easy to set up and they cost up to 66% less than the industry average. Get started with Spark 401k and a 401(k) advisor will help you select the right plan for you and your business. Individual Retirement Accounts (IRAs) are retirement accounts used by self-employed individuals and businesses with few employees in lieu of 401(k)s. The reason for this is because 401(k)s, while beneficial, have higher costs and require more administration than a traditional IRA, making them only suitable for companies with a larger number of employees. However, traditional IRAs are limited in the amount you can contribute. Currently, you can only defer $6,000 per year in taxable income. This is much smaller than the total annual contributions of a 401(k), which can reach as high as $56,000 ($62,000 with catch up contributions) if deferrals, matching, and profit sharing are all maximized. To circumvent this problem, SEP IRAs were created. These retirement accounts let small business owners contribute up to $56,000 per year, the same as a traditional 401(k) but at a much lower cost, making it a perfect retirement option for solopreneurs or small businesses where a 401(k) doesn’t make sense. However, in order to qualify, you must contribute a proportional percentage of salary to all full-time employee accounts. This highlights a few problems with SEP IRAs. While there are no minimum or maximum number of employees required, the mandatory contributions make SEPs unfeasible for companies with more than 5-8 employees. This is because the cost of funding employee contributions at this level becomes more expensive than the combined cost of 401(k) administration and any 401(k) employer matching (which is not required). Further, only employers can establish or contribute to a SEP, including employee contributions. Unless a person owns their own company – no matter how small – they can’t utilize a SEP IRA. SEP IRAs can be very advantageous in certain situations, but they aren’t right for everyone. Traditionally, these accounts have been used by self-employed individuals or owners of businesses with very few employees. Nonetheless, SEP IRAs can be very beneficial in some cases, though sometimes for different reasons and not always as intended by the IRS. The ideal candidate for a SEP is a high-earning business owner hoping to shelter large sums from income tax without the administrative costs of a 401(k). They don’t have employees for whom they need to make sizeable contributions or may themselves be a 1099 contractor, ineligible for their employer’s 401(k). 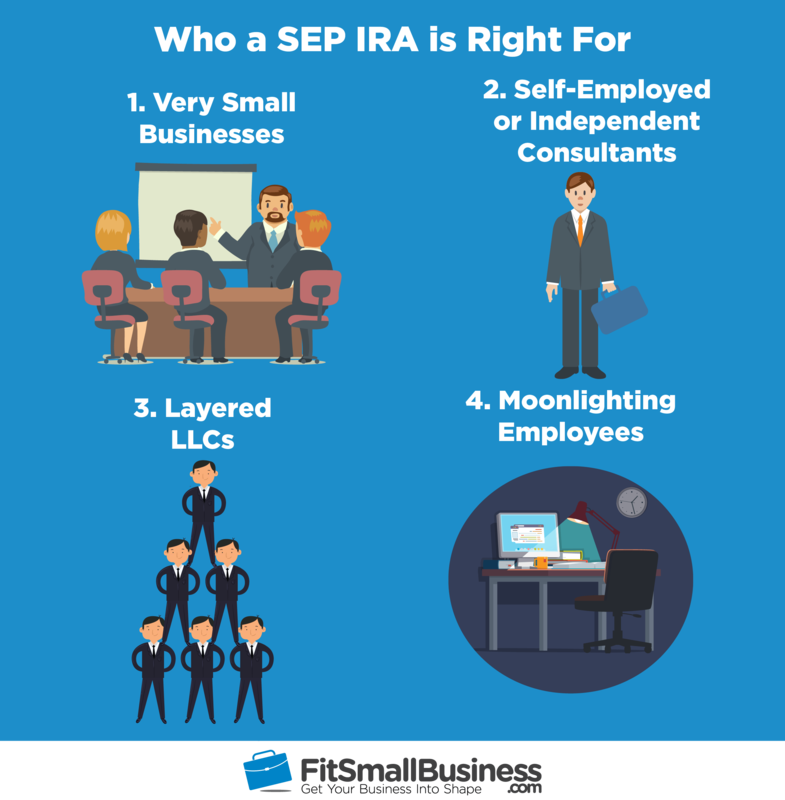 Using a SEP, a self-employed business owner can contribute far more than would be possible in a Traditional IRA, while avoiding the unnecessary cost of administering a 401(k) for just themselves. Some people work for another company while building a business in their spare time. Because non-discrimination testing makes it nearly impossible for individuals to maximize 401(k) contributions each year, these entrepreneurs may not be able to contribute as much as they’d like to their company 401(k). They can make their remaining contributions to a SEP IRA account through their own business, saving more for retirement and reducing their near-term tax burden. These companies typically have 5 employees or fewer. They have strong profits that aren’t always consistent. Contributions to SEP IRAs are discretionary – so they can be reduced or skipped in bad years – and tax-deductible for a business owner. Business owners can use a SEP to reward employees with profit-sharing contributions that aren’t taxed until withdrawn. The reason for this is that since you have to make mandatory contributions to full-time employees, any business over 5 employees may find a SEP IRA uneconomical. Instead, they might be at the size where a fully-administered 401(k) plan is a better option for their employees. It’s common in some industries to use several LLCs with different functions. In real estate, there may be separate LLCs to hold and manage property or handle bookkeeping. Some LLCs may have employees, while others have only one or two members and no employees. Owners can use these closely-held LLCs to shelter income in SEP IRAs without funding contributions for employees of other, potentially-related companies. SEP IRA providers include most banks and mutual fund companies, plus many alternative specialists. Choosing the right partner is imperative for a plan that meets an owner’s needs. The right provider can help find a balance between cost and flexibility, coordinate plan setup and administration. They can update employees, facilitate contributions, and aid with tax reporting. Vanguard is known as the largest mutual fund company in the world, with more than $4.5 trillion in assets under management. Though investments are restricted to mutual funds, SEP IRAs are very easy to establish and cost almost nothing to set up or administer. As an online trading platform, TD offers account holders a greater degree of investment flexibility. Investors can invest cheaply in almost any listed stock or bond, as well as ETFs and other instruments. Setup and administration are still easy and very low cost. Entrust is a great option for those who want to own alternative assets in a SEP IRA. However, providers like Entrust are far more expensive than providers who don’t offer alternative investments. While Entrust has no setup costs, annual administrative fees range from $200-$2,000 and exclude a host of transaction fees and other costs. As institutions go, Ally is a more traditional bank, so it’s investment options tend to be more limited for SEP IRAs. It tends to push account-holders toward CDs and other low-risk, low-return products. However, Ally does have a brokerage option for those looking to invest their SEPs in stocks, bonds, and ETFs with relatively low trading costs. Schwab is essentially a one-stop shop for financial services. They provide brokerage and investment advisory services, administration for 401(k) plans, and an array of other solutions. In addition to providing custodian services to IRAs, Schwab can advise on investment strategy and help clients trade securities, should they choose. Unlike a 401(k), implementing and administering a SEP IRA costs virtually nothing. Aside from employee contributions, the primary SEP expense is a custodian fee that’s typically $25-$50 paid from individual employee accounts. 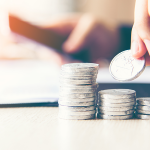 Some custodians specializing in alternative investments also have annual administration charges totaling $200 or more, also paid from individual employee accounts. Custodian Fee – Each year, SEP IRA account holders incur charges from the financial institution holding their account on their behalf. These fees start around $25-$50 and can range to $2,000 for specialty custodians focused on niche investments. Employer Contributions – Unlike 401(k) plans and other IRAs, a SEP requires that employers fund all contributions for their own accounts as well as all employees. Contributions are tax-deductible and discretionary for the business owner, but by law must be directly proportional based on each employee’s annual compensation. SEP IRAs Contribution Limits for 2018 are the lesser of $56,000 or 25% of taxable income. Though limits are equal for employers and employees, employers make all contributions, which must be directly proportional for all employees. Contributions can be variable from one month to the next but must be vested immediately. If a business owner works for a company where they’re eligible for a 401(k), they may be able to establish a SEP through their own business while still participating in their 401(k) at work. If their 401(k) contributions are less than $65,000, they can contribute the difference to their SEP, provided their total contributions don’t exceed 25% of their taxable income. If a SEP IRA is specifically structured to allow for non-SEP contributions by employees, plan participants over age 50 may also elect to make up to $6,000 catch-up contributions through salary deferrals. These are the only employee deferrals allowed by employees participating in a SEP IRA. To determine your SEP IRA contribution limits and to see how much you may be required to contribute for employees, be sure to check out our Free SEP IRA Calculator. *Contributions must be from employers, rather than through employee deferrals. The IRS sets strict rules for SEP IRAs. While SEPs are more flexible than many plans, they are still employer-sponsored retirement plans governed by the IRS and the Department of Labor. Failure to follow these rules can lead to a plan’s disqualification, along with penalties or additional tax liability for a business owner. As soon as an employee becomes eligible for a SEP, they must be automatically enrolled unless they decide to revoke their account. However, there can be a waiting period before an employee becomes eligible for the plan if it’s stipulated in plan documents. Employers can’t permit employees to make salary deferrals into a SEP IRA. Instead, the employer must make all contributions into their own and employee accounts. All contributions to employee accounts must be made at the same time and directly proportional to employee compensation. If an employer makes a contribution to their own account equalling 10% of their own salary, each employee must also get contributions equaling 10% of their pay. When employers make contributions to employee SEP accounts, these contributions must be vested immediately. This stands in contrast to 401(k) plans and some other SEP alternatives, which sometimes allow employers to structure vesting schedules for their contributions. Because contributions are immediately vested, employees aren’t penalized for leaving a company early. In addition to other rules and regulations, the IRS has set strict deadlines for setting up and contributing to a SEP IRA that must be followed carefully. Most deadlines are based on the employer’s tax-filing deadline (including any extensions). Failing to adhere to these deadlines can result in unforeseen tax liability and penalties. An employer can set up a SEP IRA and accounts for themselves and their employees anytime prior to their own tax-filing deadline. While SEP IRAs can be formed after the tax year for which they’ll be effective, this generally isn’t recommended. As soon as an employee becomes eligible for a SEP IRA, they must be provided with appropriate disclosures about the plan. These disclosures include information on SEP IRAs, employer contributions, and tax treatment. When a plan is initially created, there may be some employees who will become eligible immediately and must receive disclosures as soon as the plan is established. Employers are allowed to make contributions anytime before their tax-filing deadline, including any extensions. Contributions can be – and often are – made for the prior year. Because contributions are tax-free for employees and tax-deductible to employers, they have no impact on employee income taxes. A SEP is extremely easy and cheap for employers to set up and administer. In 2013, more than 9 million American Households – 7.5% – owned Employer-Sponsored IRAs including SEPs. While everyone uses a provider to help in the process, it helps to have an understanding of the steps involved, once a provider has been selected. A SEP IRA can be held by almost any bank or mutual fund company. For those who want more flexibility with investment options, there are a number of online providers who specialize in alternative assets including real estate or gold. Most providers have their own paperwork for setting up a SEP, which include several forms required by the IRS. These forms are typically part-and-parcel with a new account application, and take very little time to complete. Once an employer has set up a SEP, they are required to provide notice to eligible employees. These disclosures explain information on SEPs, details on the new plan, and employee rights and responsibilities – including an employee’s right to revoke their account if they choose. Accounts for newly-eligible employees must be opened for the same tax year that they become eligible for a SEP IRA through their employer. Accounts can be created up until the contribution deadline, which is the employer’s tax-filing deadline (including any extensions). Employers can make contributions at any time throughout the year, but it’s best to wait until the deadline nears so an employer is aware of their taxable income and can determine their own contribution limit for the year. Employers then make one or a series of deposits before their tax-filing deadline. Once a SEP IRA is established, it must be administered in accordance with plan documents and requirements from the IRS. This includes making contributions on time, ensuring that account statements and disclosures are provided to employees, ensuring that contributions are the same percentage of each employee’s compensation (including their own) and are vested immediately. For solopreneurs and many small business owners, SEP IRAs can present tremendous benefits. However, these plans are not without their drawbacks. In many circumstances, a SEP IRA represents the best possible choice, but if you think a SEP may be right for your business, make sure to weigh the good with the bad. High Contribution Limits – SEP IRA contribution limits are $56,000 or 25% of taxable income, whichever is less. This is far higher than Traditional IRAs and more in line with SIMPLE IRAs and 401(k) plans, but much easier to maximize. Low Administrative Costs – Very little time or money is required to set up or administer a SEP IRA. There are no substantial fees except those required by custodians. Discretionary Contributions – If a business has a bad year, an employer isn’t required to make SEP IRA contributions for themselves or their employees. In this way, a SEP IRA is almost like a profit-sharing component of a 401(k). Investment Flexibility – Most retirement accounts with similar contribution limits have very limited investment options. Unless an employer pays large fees, most are limited to just a handful of mutual funds. SEP IRAs, on the other hand, can easily invest in almost any stock, bond, or mutual fund, as well as alternative assets if employers work with certain providers. Numerous Applications – SEPs can be used in a variety of ways to shelter large amounts of income from taxes. SEPs can be easily implemented by freelancers, self-employed individuals, small business owners with few employees, or part-time entrepreneurs in conjunction with a company 401(k). Expensive Contributions for Many Employees – SEP IRAs are often uneconomical for businesses that have more than a handful of full-time employees. This is because employer contributions must be proportional for all eligible full-time employees. Thankfully, all contributions are tax-deductible to the employer, so there is a tax benefit to offset the cost of contributions to employee accounts. Immediate Vesting – Unlike 401(k) plans and some other alternatives, SEP IRA contributions must be immediately vested for all employees. While employers often use vesting schedules to discourage employees from leaving early, this “golden handcuff” can’t be used by employers who choose a SEP. This can potentially lead to higher employee turnover. A SEP IRA isn’t right for everyone. 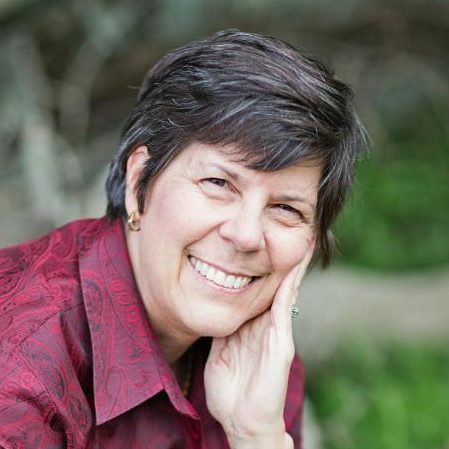 Many business owners, especially those with few employees, appreciate a SEP’s flexibility. Contribution limits that are far higher than a Traditional IRA without a 401(k)’s cost can be attractive. However, the cost of funding employee contributions or other factors can make some alternatives advantageous in certain situations. SEP IRA contribution limits are much higher (10x) than Traditional IRAs. SEPs must be established by a business owner, where Traditional IRAs can be used by anyone not eligible for an employer-sponsored retirement plan. Traditional IRAs are great for individuals contributing $6,000 or less annually, offering equal investment flexibility and low administrative costs as SEPs. SEP IRAs and SIMPLE IRAs have identical contribution limits but very different structures. While SEPs only allow employer contributions, SIMPLE IRA contributions are largely voluntary employee salary deferrals. Employers match those contributions according to predetermined formulas. SIMPLEs are good for employers who can’t fund all employee contributions or prefer to match employee deferrals. A 401(k) is structured like a SIMPLE IRA, with contributions comprised of employee deferrals, employer matching, and discretionary profit-sharing. SEP IRAs are similar to profit-sharing within a 401(k). 401(k) plans have more substantial administrative costs, but businesses with more than 5-8 employees typically find 401(k) plans to be superior alternatives. Safe Harbor 401(k) plans,like those offered by Spark 401k usually cost less to administer than most 401(k)s but more than SEP IRAs. Contribution limits are the same, but are easier to reach with SEPs. Higher matching requirements can increase employer costs for Safe Harbor, but SEPs are still more expensive once a company reaches 8 or more employees. Like any 401(k), Solo 401(k) plans have administrative costs higher than SEP IRAs. Solo 401(k) contribution limits are $56,000, as in SEPs. Unlike SEPs, Solo 401(k) contributions are comprised of deferrals and profit-sharing. Where SEPs can be used for business with employees, Solo 401(k)s are only for single-employee businesses. Another lesser-known SEP IRA alternative that used to be very popular is a Keogh Plan. Keoghs used to be much more popular but are used much less frequently since tax laws have changed. For more information, be sure to check out our ultimate guide to Keogh Plans. However, for SEP IRAs a 401(k) is typically a much more viable alternative. Spark 401k offers small businesses traditional 401(k) plans, safe harbor plans, and solo 401(k) plans that are affordable and easy to set up. Not only that, but they cost up to 66% less than the industry average. Get started with Spark 401k and a 401(k) advisor will help you select the right plan for you and your business. There are a number of accounts that employers and employees can use to save for retirement and shelter income from taxes each year. A SEP IRA can be a great avenue for large pre-tax contributions in certain circumstances. To utilize a SEP, an employer must make proper disclosures to eligible employees, contributions proportionally to accounts for all their employees, and vest those contributions immediately. Do you have more than 5 full time employees?